What’s going on? Yesterday I was starting to get pleased with the theme I have for my blog. I finally got to find out how to change my title, and it seemed I had the picture I wanted to stay on the home page. I didn’t realize the second post I did was still in draft when I came back here today. So…let it be published! Lo and behold…my picture is gone! This is not the problem I want to deal with right now! Closing escrow in a week?! As new Realtors…my husband and I could only dream this…especially if I keep sitting on my A$$ blogging instead of walking…KNOCKING doors in our farming territory. I’m just postponing the inevitable–as our managers said…we need that face time if we want returns on investment. To delay that door-to-door contact, my husband had been very good in searching for possible Open Houses even as far as an hour drive to San Bernardino. No LEADS so far, just MISleads and MISSleads! I’m starting to lose my sense of humor. We keep telling ourselves we don’t mind going far…it’s a first-hand look at the market out there. Who are we kidding? So when we found one First Team listing agent close to our farming area, we were delighted to contact him. When he said, he will ask the owner…we were hopeful! A week or so–just now as I was blogging–my husband contacted the listing agent again, and I heard “That’s great!”…I had the not-great-for-us feeling. True enough…that house on Trevor Street sold in a week! 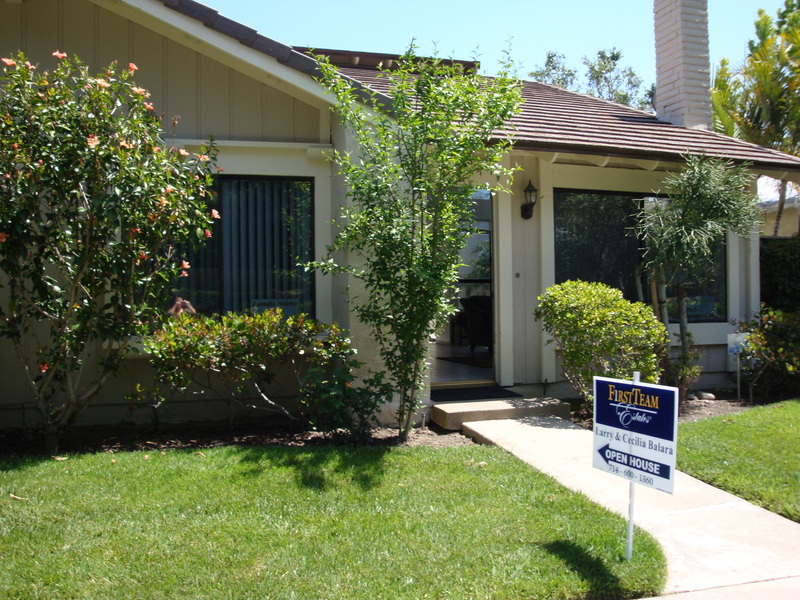 A cash buyer walked in, and escrow closed in a week! What a dream if we could have one that way. Indeed…a lost dream of having an Open House close to our farm where we can invite the neighbors. Now, we should practice our KNOCKtiquette!